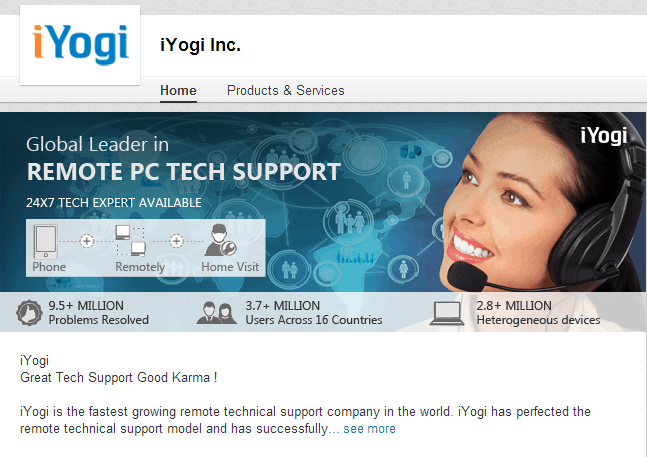 iYogi is one of the world’s largest providers of brand independent technical support, with services available in more than 10 countries including the United States, the United Kingdom, Canada, Australia, and UAE. Formed six years ago and catering to consumers and small businesses, they have recently launched Digital Service Cloud, a new cloud-based product offering targeted at large telecommunications companies and original equipment manufacturers. Through a combination of innovative and easy to use end customer facing mobile, social and desktop apps, iYogi’s Digital Service Cloud has translated the experience distilled from more than 10 million service requests to deliver a personalized experience at every moment of a customer interaction. Employed LinkedIn’s Sponsored Updates that allowed relevant content to appear alongside organic content in members’ LinkedIn feeds, delivering highly visible messages to speciﬁc audiences.With intelligent and intuitive segmentation, Sponsored Updates delivered iYogi’s content to members’ news feed along with organic content.